Review: Do You Start The Day With A Trading Plan? Our previous Stock Exchange asked the question: Do You Start The Day With A Trading Plan? but went on to explain that changing market conditions can quickly make your plan ineffective. However, being able to calibrate to dynamic market conditions can make the difference between winning and losing. A glance at your newsfeed will show that particular lesson remains relevant week after week. This Week: Have You Ever Tried To Design A Trading System? Having success as a trader is invigorating. But have you ever tried to design your own system to consistently and repeatedly generate real trading profits? We have learned a variety of important lessons in this endeavor. And we’d like to share a dozen of those lessons, with the help of seven valuable trading articles, from real life trader experiences. Don’t be fooled by early successes. Even the best prepared, the smartest, the best researched traders can fail, at least temporarily. The people that get press coverage, write exciting books and live glamorous trading lives do so because they took inordinate risks which paid off. It’s easy to quickly list these lessons, but they’re based on real life experience, and for more context, the article is worth a read. 7. Making powerful software simple to use and data more readily available just makes it easier for non-experts to lose a lot of money. Lesson numbers eight and nine are both related to backtesting and they come from articles titled Developing a Trading System: Be Careful and Test!andHow Some Academics Misguide Traders And Hedge Funds. 8. The difficulty arises because the novice system developer takes all of the available data and back fits some trading system. 9. Most strategies fail due to changes in market conditions. 10. Data mining is a huge risk with factor-based investment strategies. 11. 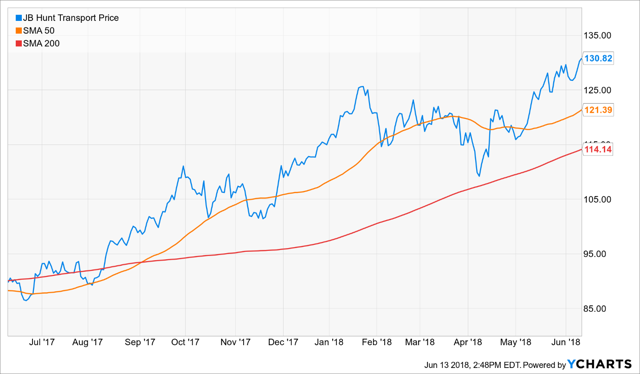 Not buying a stock because it is up too much too fast or not buying a stock because you sold it at a lower price recently. This can be a very important lesson, particularly in strong market conditions like we’re having right now. 12. Even as artificial intelligence learns to teach itself, all the factors that may affect security prices cannot be placed on a single sheet, as can all the ways in which chess pieces can be moved. If you’re going to endeavor to design your own trading system, heed these important lessons. Learning them can save you very real time and money. 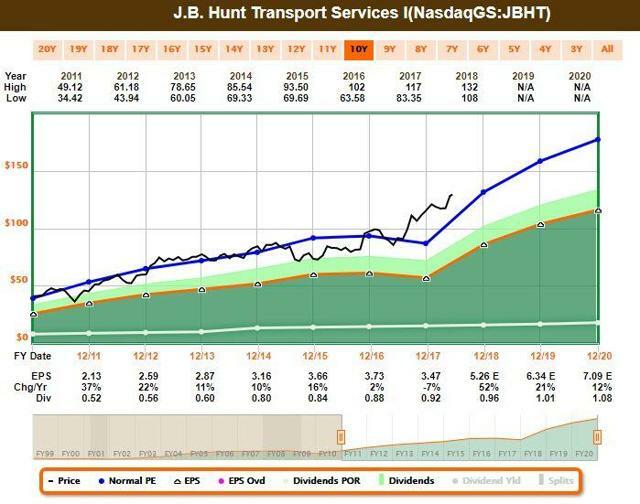 Road Runner: This week I purchased JB Hunt Transport Services (JBHT). Have your hear of this company? Blue Harbinger: Yes—in fact I see trucks with the JB Hunt logo on them frequently when I’m driving down the highway. Why’d you buy this stock, d Runner? Road Runner: For the same general reason I enter all of my trades. JBHT was in the lower end of a rising channel. You can see what I am talking about in the following chart. BH: Yes, I see what you’re talking about, Road Runner. Here is the 1-year chart too if that is helpful. Road Runner: Thanks, but I typically hold my positions for only 4-week, so that view is a little long for me. BH: How about fundamentals, Road Runner? For example, the following Fast Graph has data going back to 2011, and gives earnings estimates out to 2020. Road Runner: 2020? I will have completed many trades before 2020. BH: Well based on the earlier performance table, your returns have been positive over the last year, but your still lagging behind the other traders. Maybe you should start considering more fundamentals. Road Runner: I’ll stick to my disciplined process, thank you very much. I realize that different styles work better under different market conditions. In fact that’s one of the beauties of Jeff’s system—he takes a blended approach among more than one model in order to keep aggregate returns higher and risks lower. BH: Alrighty then. How about you, Felix? I noticed you put up some really good performance over the last week. Did you place any trades? 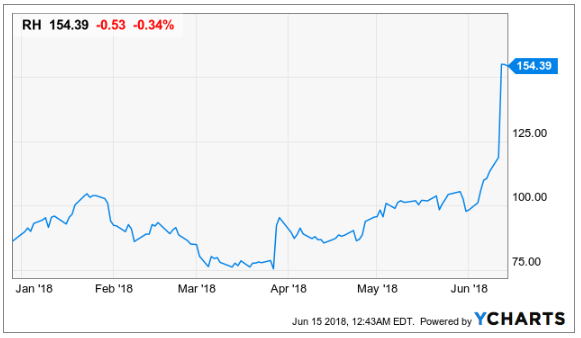 Felix: No trades, but I was holding RH (RH) this week, and the shares are up around 39% in the last 5 days, and 79% this year. If you recall, I typically hold my positions for about 66-weeks. And this isn’t the first time we’ve done extremely well with RH. Despite a little trash talking from our readers, we also owned RH last September and November when it also put up big gains. You can read about that here: Despite Fundamentals, We Nailed RH, Again. BH: Nice job, Felix. That is impressive. Do you have anything else to share this week? BH: Thanks Felix. I know you are a momentum trader, and I see plenty of momentum names on that list. Much appreciated. 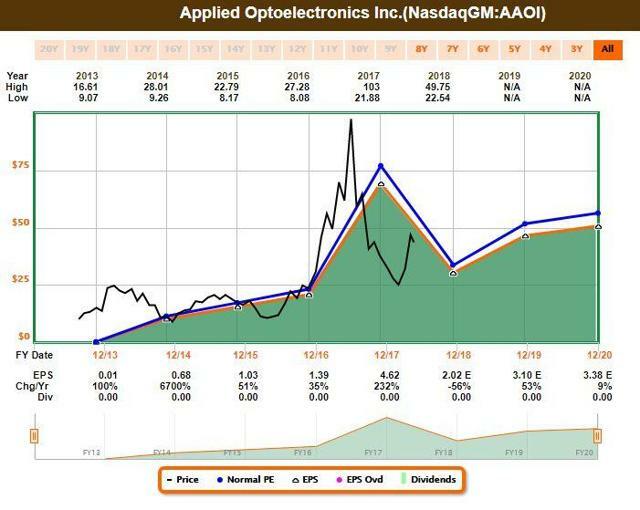 Athena: This week I bought Applied Optoelectronics (AAOI). BH: Interesting small cap pick, Athena. They make optical equipment for cable TV, wireless and fiber-to-the-home. Why do you like this stock, Athena? 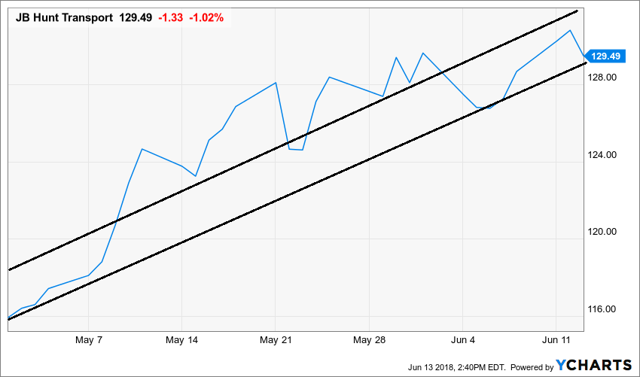 Athena: As you know, I am a momentum trader, and AAOI looks attractive over the next 17-weeks, which is my typical holding period. 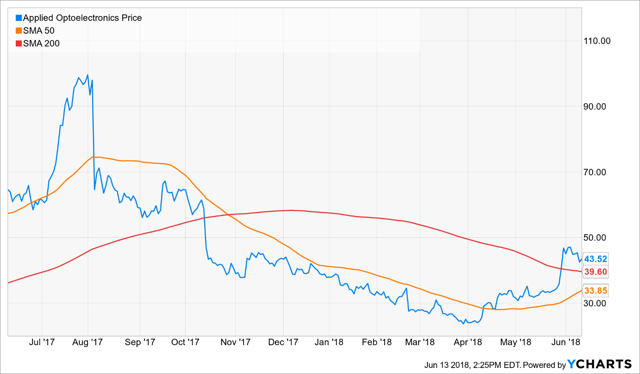 BH: Athena, this stock is way below its highs, although I can see it has a little momentum over the last couple months. Have you even considered the fundamentals? Here is the FastGraph for you to consider, and as you can see EPS is expected to rise. Athena: Thanks for that info, but I am a trader, and I’ll exit this position long before those future earnings announcements are released. I’ll exit my position when either my price target or stop price hits. BH: Thanks Athena. How about you, Oscar—any trades this week? Oscar: No trades to share, but I did rank the Comprehensive & Diverse ETFs universe. Here are the top 20. BH: Interesting, Oscar. 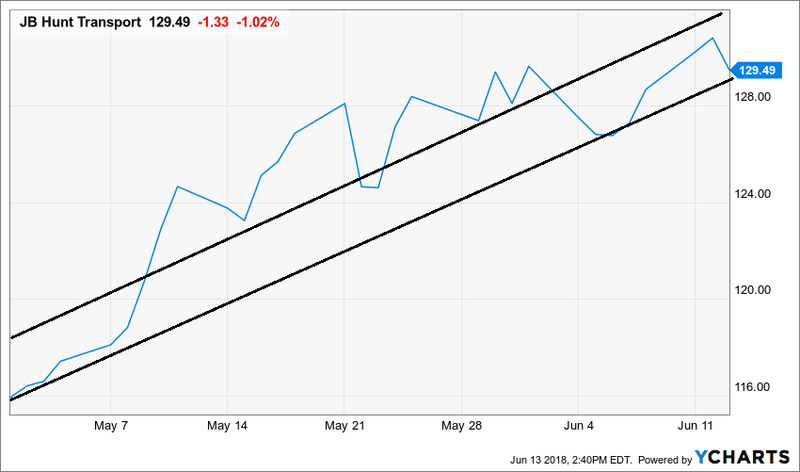 I realize you are also a momentum trader, and you usually rotate to a new sector after about 6-weeks. Thanks for this list. There are a lot of different considerations that go into building a trading system. And there are a lot of mistakes that can be avoided along the way. If you’re going to give it a shot, you’d be wise to avoid as many mistakes as possible, such as the dozen listed earlier in this article. Also, if you email us at newarc dot com, we can offer a copy of our brief paper by Vince (our Research Director) with more information about his methods.